This month is all about celebrating National Coin Week from April 21-27, 2019. For 227 years since the founding of the U.S. Mint, coins have played a pivotal role in American society, spanning multiple classroom topics including history, math, science, and art. Whether it’s an introduction to money in first grade, state history in fourth grade, or chemistry to form the metal makeup of coins in high school, there are many ways to connect coins to the classroom. The theme of National Coin Week, sponsored by the American Numismatic Association (ANA) is, “Discover the Past, Envision the Future”. To celebrate this year’s discovery theme, the U.S. Mint has compiled a 2019 Coin Coloring Book featuring space-themed coin designs. Request your free PDF version by emailing education.outreach@usmint.treas.gov today! The coin flip is a time-honored tradition. 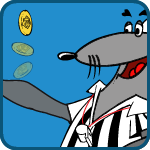 The U.S. Mint has taken the classic coin flip and added a modern twist in our newest game, Coin Flip. This game allows students to discover new and classic coins while learning about percentages, fractions, probability, and statistics. Do you want a more action-packed gaming experience? 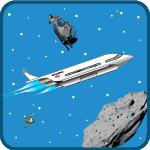 Discover our futuristic space-themed game, Space Supply, where students race against the clock to deliver critical supplies to space colonies across our solar system while dodging space debris, asteroids, laser beams, and UFOs. Did you know that the Mint has over 400 free lesson plans for K-12 educators? Check out some of our lessons related to space, astronomy, and STEM. Did you know that there are several U.S. coins in space right now, including two Apollo coins aboard the Soyuz MS-12 rocket that launched on March 13, 2019? There’s also two state quarters aboard the NASA spacecraft New Horizons, which recently discovered the farthest space object ever seen by humans. Learn more about their journey in our Coins in Space videos below. Do you want to incorporate coins into your classroom, but aren’t sure where to start? Reach out to us at education.outreach@usmint.treas.gov to request free resources today!